Welcome to the April 11, 2018 edition of ACM TechNews, providing timely information for IT professionals three times a week. In a breakthrough that could result in the development of washable, sensor-laden smart clothes and wearable electronics, researchers at the City University of Hong Kong have molded a rechargeable zinc-ion battery into an elastic yarn. 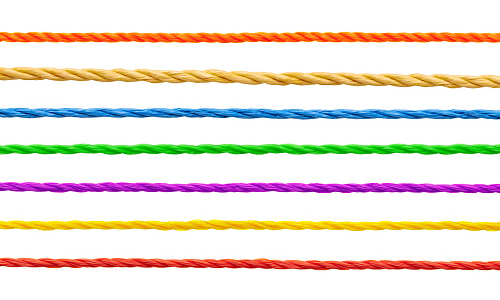 The researchers made the thread-like rechargeable zinc battery by twisting carbon nanotube fibers into yarn. They note one piece of yarn is coated with zinc to make an anode and another with manganese dioxide to serve as a cathode. The team then wound the two yarn pieces on an elastic fiber, soaked it with a water-absorbing gel, and encased the device in elastic silicone and a water repellent. The yarn battery has an energy density of 54.8 milliwatt-hours for each cubic centimeter, equating to about three times as much as conventional thin-film lithium-ion batteries. In addition, the new battery retains more than 98 percent of its capacity after 500 recharging cycles. Chinese researchers have developed a new method for improving how computers "see" and "understand" real-world objects by training their vision systems in virtual reality. 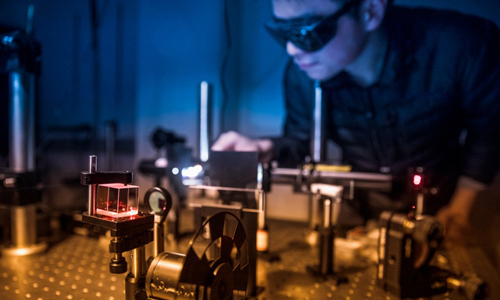 Professor Kunfeng Wang at China's State Key Laboratory for Management and Control for Complex Systems says their research seeks to overcome the drawbacks of real-world image datasets for training and testing vision systems. The team virtually generated the ParallelEye dataset using commercially available computer software, and modeled an urban area in Beijing by adding various buildings, vehicles, and different weather conditions. Then they positioned a virtual "camera" on a virtual car, which drove around the simulation to produce datasets representative of the real world. The researchers saw a marked increase in performance on almost every tested metric, and Wang says they also showed that they can easily synthesize diverse sets of images to help build stronger computer vision systems. Researchers at the Technical University of Munich in Germany have developed a deep-learning system for automatically identifying face-swap videos, which only learns from massive annotated datasets of good examples. The team used two types of face swaps that can be easily generated via the Face2Face software. They did this with more than 1,000 videos, creating a "FaceForensics" database of about 500,000 images in which the faces have been manipulated with face-editing software. 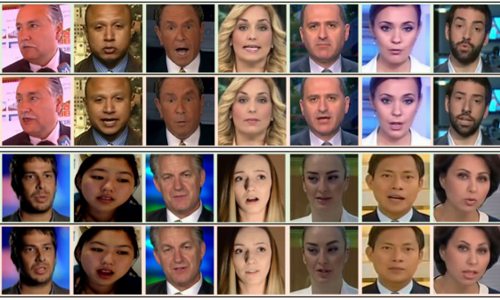 Their next step was to use FaceForensics to train a deep-learning algorithm, XceptioNet, to recognize the difference between face swaps and undoctored originals. In comparison to other forgery detection techniques, XceptioNet proved to be superior in identifying manipulated videos, even when compression was applied to make the task much more difficult. The team also has used this information to improve the forgery, making detection harder, but this has had little effect on XceptionNet's detection ability. Twenty-four countries in the European Union (EU) recently signed a declaration to collaborate on a "European approach" to artificial intelligence (AI) so they can compete with U.S. and Chinese technology firms. The signatories said they will consider injecting public research funding into AI, without pledging a specific number of dedicated new investments. All the member states signing the pact also noted they would "modernize national policies" to develop large-scale AI research. "Member states have a level of excellence in some sectors but they cannot be globally leading in an isolated way if they're alone," said EU digital commissioner Mariya Gabriel. "The EU can be a driving force." Gabriel also said rivalry between member states to draw multinationals would not imperil the EU's effort to coordinate national AI policies and research. Several ministers stressed the EU should agree on ethical AI standards that could give European companies a competitive advantage. Researchers at the University of Sheffield in the U.K. are increasingly relying on graphics-processing unit (GPU) technology to supercharge their work with complex system simulations. One of their projects used GPUs to improve the speed and accuracy of road micro-simulations by a maximum factor of 33. "We can scale these simulations up to represent human immune systems and run them fast enough and explore all of the different parameters around what type of interventions may produce emergent properties," says Sheffield's Paul Richmond, pointing to disease remission as an example of a "good patient outcome." Last year Sheffield bought a DGX-1 workstation and also teamed with Joint Academic Data Science Endeavor, Britain's biggest GPU facility, to advance its deep learning and artificial intelligence research. Richmond says about 25 percent of the time the workstation is used for functions such as high-performance computing simulations. 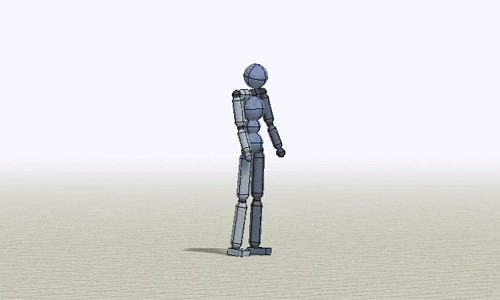 University of California, Berkeley (UC Berkeley) researchers have used deep reinforcement learning to recreate natural motions, enabling computer-animated characters to respond naturally to changes in the environment. The team's new algorithm, known as DeepMimic, can learn a variety of different skills, and produce motions that rival if not surpass the state-of-the-art in animation with handcrafted controllers, says UC Berkeley's Zue Bin Peng. He notes the researchers achieved this breakthrough by obtaining reference data from motion-capture clips demonstrating more than 25 different acrobatic moves. The DeepMimic system was then permitted to "practice" each skill for about a month of simulated time, going through millions of trials to learn how to realistically simulate each skill through trial and error. A paper describing the research has been conditionally accepted for presentation at the 2018 ACM SIGGRAPH conference in August in Vancouver, Canada. Sixty-six percent of links to popular sites shared on Twitter stem from automated accounts, including legitimate accounts belonging to organizations that schedule tweets through an automated service, according to Pew Research. In addition, most of these accounts are not as politically polarized as headlines might make them appear, and they do they primarily connect to hyper-partisan websites. The Pew researchers analyzed a random sample of 1.2 million tweets sent between July 27 and Sept. 11, 2017, analyzed the top 3,000 sites those tweets linked to over that period, and divided them into the categories of adult content, sports, celebrity, commercial products or services, organizations or groups, and news and current events. The final step involved running all the accounts linking to each of those sites via the machine-learning Botometer algorithm. The team found business sites were especially popular with bots because so many automated accounts exist for the purpose of sharing news. Researchers at Rice University are developing the world's first fully programmable and observable wireless communications network in Salt Lake City, Utah. Rice's Reconfigurable Ecosystem for Next-gen End-to-end Wireless (RENEW) technology is part of a national effort to prepare for a future in which virtually everything will demand wireless data. In conjunction with RENEW, the University of Utah has unveiled its Platform for Open Wireless Data-driven Experimental Research (POWDER), a city-scale wireless test platform for telecoms, tech companies, and research institutions. POWDER will support tests with up to 40,000 users over a 5-square-mile area covering much of the University of Utah campus and downtown Salt Lake City. RENEW will use technologies developed at Rice's Center for Multimedia Communications, Texas Southern University's Virtual and Remote Laboratory, and the University of Michigan's MobiLab. These include massive MIMO (multi-user, multiple-input, multiple-output), which uses base stations with hundreds of antennas to simultaneously serve many users on the same frequency. The Joint Photographic Experts Group (JPEG) recently unveiled the new JPEG XS format, a more energy-efficient image-compression process enabling higher-quality images to be transmitted with low latency over broadband networks. JPEG XS is expected to be useful for virtual reality, augmented reality, space imagery, self-driving cars, and professional movie editing. "For the first time in the history of image coding, we are compressing less in order to better preserve quality, and we are making the process faster while using less energy," says Swiss Federal Institute of Technology in Lausanne Professor Touradj Ebrahimi. JPEG XS compresses files by no more than a factor of six, and Ebrahimi notes, "even experts can't tell the difference between an original and a compressed picture or movie." JPEG XS could be useful whenever images and videos must be sent to a processor as quickly as possible, with potential applications including the vision systems of drones and driverless cars. University of California, San Diego (UCSD) researchers have developed a robotic gripper that combines the adhesive properties of gecko toes and the adaptability of air-powered soft robots to grasp a much wider variety of objects than conventional robotic systems. They say the new gripper can lift up to 45 pounds, and could be used to grasp objects in a wide range of settings. 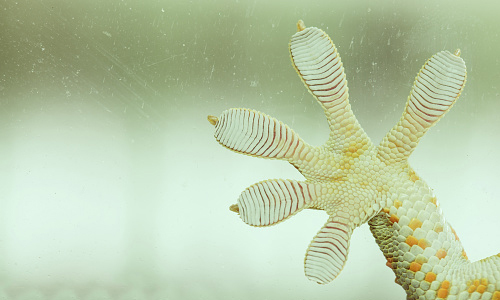 The UCSD team coated the fingers of a soft robotic gripper with a Stanford University-developed synthetic material called a gecko-inspired adhesive. The new material enabled the system to get a firmer grasp on objects while still being able rough objects. "We realized that these two components, soft robotics and gecko adhesives, complement each other really well," says Paul Glick with the Bioinspired Robotics and Design Lab at the Jacobs School of Engineering at UCSD. The researchers now want to develop algorithms for grasping that utilize the new adhesives. Arizona State University's School of Earth and Space Exploration recently released a study on its flagship Smart Course on Smart Sparrow's adaptive learning platform, showing that its design leads to high grades and content mastery. Habitable Worlds (HabWorlds), for non-science majors, uses interactive simulations and virtual field trips to introduce astronomy and other subjects to students learning about the search for life beyond Earth. HabWorlds creators describe their digital design philosophy, saying they aimed to create an interactive, game-like science course that teaches science as a systematic process of exploring the unknown. Instructors are able to access learner analytics captured throughout the learning experiences, identifying problem areas and making rapid design and content improvements. The research shows that the consistently higher grades through use of the course are a result of better concept mastery and efficient problem-solving, not simplified concepts or easier grading than the traditional instruction. University of Illinois professor Viktor Gruev has led a study demonstrating an underwater global-positioning system (GPS) facilitated by a camera that emulates the eyes of a mantis shrimp. This is the first demonstration of passive underwater GPS using the polarization properties of underwater light, which could lead to new possibilities for undersea navigation and understanding the migrations of marine organisms. The camera exploits how light refracts when passing through the surface of water and is reflected from particles and water molecules. The researchers determined they could use underwater polarization patterns to estimate the sun's heading and elevation angle, and ascertain their GPS coordinates by knowing the date and time of the filming. Gruev says the camera was coupled to an electronic compass and tilt sensor to measure underwater polarization data at various sites around the world, depths, wind conditions, and times of day, and the team could localize their global position within 61 kilometers. Researchers at Wake Forest Baptist Medical Center and the University of Southern California (USC) Viterbi School of Engineering proved that a neural prosthetic system can improve memory by "writing" information "codes" via an electrode implanted into the part of the brain involved in making new memories. In the study, epilepsy patients' short-term memory performance improved 35 to 37 percent over baseline measurements. "This is the first time scientists have been able to identify a patient's own brain-cell code or pattern for memory and, in essence, 'write in' that code to make existing memory work better — an important first step in potentially restoring memory loss," says Robert Hampson, professor of physiology/pharmacology and neurology at Wake Forest Baptist. The study focused on improving episodic memory, the most frequent type of memory loss in people with Alzheimer's disease, stroke, and head injury. The researchers were able to tap into a patient's own memory content, reinforce it, and feed it back to the patient, says Hampson. Cornell University researchers have learned to control atomically thin magnets with an electric field, which could lead to exceptionally powerful and efficient data storage in computer chips. The team used a sample of chromium triiodide and applied a small amount of voltage to generate an electric field and manipulate the compound's magnetism, yielding the ability to switch it on and off. This was done by stacking two atomic layers of chromium triiodide with atomically thin gate dielectrics and electrodes. This produced a field-effect device that could flip the electron-spin direction in the chromium triiodide layers using small gate voltages, inducing the magnetic switching. The researchers note the process is reversible and repeatable at temperatures lower than 57-degrees Kelvin. They say two-dimensional chromium-triiodide magnets are novel in that an electric field can be directly applied to trigger the switching, and require very little energy.